The Spartan lifestyle in barely-discovered territory depicted in “Little House of the Prairie” may be a thing of the distant past, but there are still pioneers to be found among us. Today, those pioneers are forging an expansion in technology rather than territory and this transformation is happening as quickly as the Louisiana Purchase. It’s easy to underestimate the roll that cloud computing has had in this technological boom over the past few years and the process is leaving some with uncertainties, but those with the will and ability to adapt are turning this new territory into a gold mine and ruler for how to conduct business. The clouds are hanging lower these days – low enough to envelope just about everyone in a dense fog. Cloud-based software has permeated a wide variety of businesses and industries as more and more of us discover the technology’s potential in a unique way. Marketers at Sunny Delight Beverages made headlines in late 2015 with their use of cloud-based analytics to increase profits by $2 million annually while cutting back on staffing costs by a whopping $195,000. New technological prowess helped Sunny Delight track sales deals to retailers and properly judge their worth. The improved analytics also gave the mega-juice producer the ability to record sales by region. Other companies like salesforce.com have built an entire business model on cloud-based services and others still have utilized the cloud for maximum effect while also highlighting some legitimate concerns in the industry. San Francisco-based startup Slack, for example, is valued at $2.8 billion, servicing thousands of companies with just 18 “account” representatives – a job title that properly reflects the company’s deviation from the salespeople model. Instead of encouraging salespeople to sell a customer more than what they need in order to close a bigger deal, account reps don’t earn commission on sales and are instead pushed to increase customer satisfaction, Slack’s Chief Marketing Officer Bill Macaitas told Bloomberg. Companies like Slack highlight one of the biggest problems any new technology in any industry brings: Fewer employees are needed and more work is still getting done. Sales experts of the old model where everything is conducted on site and in meetings, may struggle to meet to technological demands of the new industry that’s forming. Perhaps salespeople in the traditional form of the word are nearly obsolete. But progress continues to plow through the industry and with 30 percent of companies expected to be utilizing cloud-based training in 2016, according to a Docebo report, those who don’t keep up with the changing times will soon find themselves left behind. This point is further highlighted by a Right Scale survey in early 2016 that found 95 percent of respondents were using private cloud solutions, public cloud options or a mix of the both. So why the dramatic interest in cloud-based solutions? Well, as more and more companies pioneer the path forward and learn from the experience, the cloud is improving. For the first time, 2016 saw lack of resources and expertise as the number one challenge to cloud-based software. A whole 32 percent of companies responded as such, up from 27 percent in 2015, while 29 percent said that security remained the greatest challenge ahead. 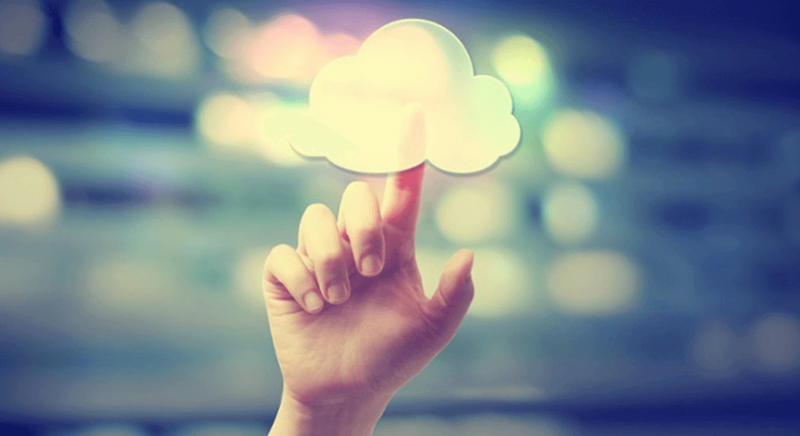 In a snowball effect, the cloud is gaining steam, and usage is improving its results. Perhaps most importantly, as also highlighted by companies like Slack, the cloud brings with it a code of sales conduct in which the customer’s need comes first. It’s no longer the salesperson’s job to sell a product. The job today is all about meeting the needs of the customer. The cloud’s potential for personalization have changed the balance of power in a sales deal, and with it the culture of an industry.